Once the hair growth is dramatically reduced by laser hair removal, some might wish to show off their new smooth body, by going to the swimming pool. If you have a new smooth bikini line you might be proud to wear your new bikini or swimming trunk. But you should know that going to a pool after a laser hair removal treatment, is not recommended. There are two aspects, one is the chemicals in the water and the second is exposure to the sun. Using harsh chemicals helps pool maintenance keep the water clear of germs. But these chemicals can cause skin irritation when they reach some of the skin inner dermis layers. Chemicals are added to pool * water to kill disease-causing germs, maximize the efficacy of the disinfection process (for example, pH control), improve water quality, stop corrosion and scaling of equipment, and protect against algal growth. However, pool chemicals can also lead to injury when mixed together or when appropriate personal protective equipment is not used during handling. 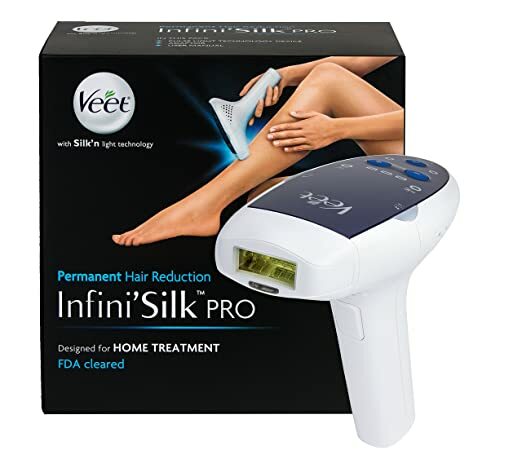 See more..
After laser hair removal, the laser zapping can cause blemish and redness. When going to a pool in order to swim after a laser hair removal, the skin cannot protect the body from the chemicals in the water which absorb through the skin. if you have completed a laser hair removal session at home or at beauty salon, you better wait 72 hours before going to swim. The second danger of going to a pool, is associated with the exposure to the sun rays. If the pool is indoor, than there is no problem, as long as it it 72 hours after the treatment. If the pool is outdoor, than you should watch out from exposing your skin to the sun. It does not matter to the body, if the legs have been treated and that they are now covered, the body melanin production was under great stress due to the laser (or IPL) treatment. Exposing the shoulders to the sun after a leg laser hair removal treatment is just as dangerous! Avoid exposing your body to the sun 72 hours after a laser hair removal, wear a wide rim hat, and long sleeve clothes. It is very recommended to use advance sun block creams which block both UVA and UVB rays. The full spectrum lotions protect the body from the UVA rays which have potential to accelerate cancerous cell development. Going to the pool after a laser hair removal treatment, is not recommended. The sun and the pool chemicals can cause more damage than you would regularly expect. Wait for 72 hours before going to swim, allow the skin to recover from the light treatment, before you plunge it into the pool water. This entry was posted in Laser Hair Removal News, Laser Safety and tagged pools and laser hair removal, post laser hair removal treatment dangers by admin. Bookmark the permalink.